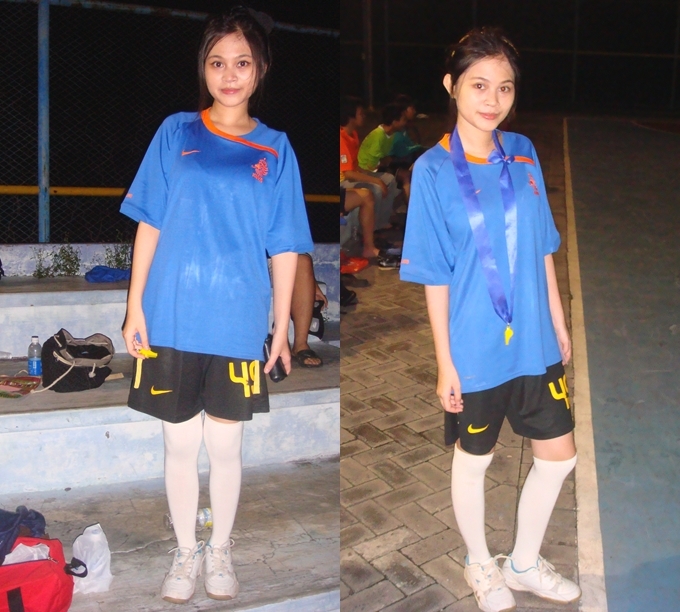 Here they are, the captured moments at Centerline Intern Olympic's Futsal Tournament. Starting from the very simple opening moment by the chief of Centerline Intern Olympic, Ardan. And many other moments of me and my beautiful referee partner, Thea. Let's start the match guys! The first night, there were four matches in a row. And the next night is the time for looking the championship. First match of the tournament, SC team vs Sumatra team. The Bali boys, Ardi and Suryana. The referee special equipment! And we have an innovation about futsal in this tournament by three new colors cards, Green, Blue and even Pink! And I was wearing a friend of mine jersey, it was so big on me. Anyway, the camera blitz really makes me look pale, even I don't like it, I have to use the blitz because the lightning was so poor that night. The moments was incredibly awesome and fun. Can't wait for the next year, it would be more fun or spectacular instead!